I was listening to one of those new music mixes on Apple Music and catching up on work when this song popped up and I thought, ‘This new Heart sounds pretty good!” Except it wasn’t Heart, it was Frankenmuth, Michigan’s own Greta Van Fleet. More on that in a bit. So when the vocals came in on Greta Van Fleet’s new single “Black Smoke Rising,” I was pleasantly surprised to hear the connection. I mean, there’s no way this vocal performance is not influenced by Ann Wilson, right? It gets better. It turns out that it’s not even a modern-day Ann Wilson fronting this band. In fact, there’s isn’t a female in sight! Greta Van Fleet is a four-piece band of dudes—three brothers and a friend! So it’s not a sister act emulating the Wilsons, but a brother act. How great is that? These guys are from the unlikeliest of towns to churn out a hard rocking band with a 70s yen. They’re from Christmas Town: Frankenmuth, Michigan. Wikipedia describes Frankenmuth as a city where, “Tourism and farming drive the local economy. Frankenmuth draws over three million tourists annually to its Bavarian-themed shops and restaurants such as the Bavarian Inn, Frankenmuth Brewery, Zehnder’s, and Bronner’s Christmas Wonderland.” And it’s that last entry that counts. Bronner’s is not just a Christmas shop, it is truly a Christmas Wonderland. Fifty thousand trims and gifts, gang. And one of them is Greta Van Fleet. The band’s first major label EP, Black Smoke Rising, is out now on Lava/Republic/UMG. 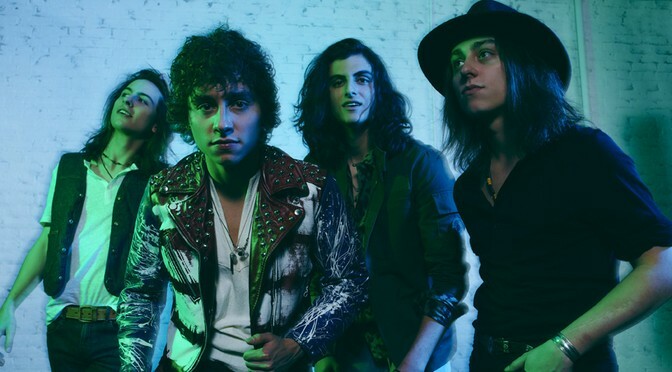 Greta Van Fleet: web, twitter, fb, amazon, wiki. In 1976 Heart was absolutely the coolest band in the world. I once stunk up all 2.2 acres of Bronner’s after eating one of Zehnder’s famous chicken dinners.